In partnership with FirstBank, Colorado Health Foundation, The Denver Foundation, the Colorado Trust and Colorado Housing and Finance Authority, Urban Land Conservancy launched the Metro Denver Impact Facility (MDIF) in response to the current real estate affordability crisis in the Denver region. The revolving source of loan capital will grow to become a $50 million resource to support ULC’s real estate acquisitions to create and preserve the affordability of housing, nonprofit facilities, schools and community serving space across Metro Denver. To read the Denver Post’s coverage of the Metro Denver Impact Facility’s first acquisition, click here. As the sole borrower of the MDIF, ULC has a proven track record of creating, fully expending and fully paying back two revolving loan funds for the purpose of stewardship and the development of beneficial real estate. ULC’s investments in the $15 million Transit Oriented Development (TOD) Fund and the $10 million Calvert Facility Fund resulted in 12 acquisitions that preserved and created hundreds of units of affordable rental housing and hundreds of thousands of square feet of affordable commercial space. The permanent affordability of these real estate developments significantly limited the displacement of local residents and nonprofits in Denver. FirstBank’s investment will act as Senior Debt, and the bank will manage MDIF locally, underwriting each deal and evaluating the need for additional project financing to address capital needs. ULC is the sole borrower of the Facility, and is responsible for creating the development plan and permanent financing structure. ULC will also manage the disposition of these properties and where feasible, retain ownership interest as part of a Community Land Trust (CLT) through a 99 year ground lease. The MDIF will be capitalized for ULC’s real estate acquisitions, and will accommodate a range of investments – each with varying terms. ULC’s first acquisition with the Facility was the Harlan Nonprofit Center, a 29,000 square foot nonprofit serving building. The property is currently home to the headquarters of Lutheran Family Services of the Rocky Mountains (LFSRM), serving 30,000 people annually, a 25 year old dental practice and a law firm specializing in education and civil rights law. ULC purchased Harlan Nonprofit Center for $3.69 million. The building is located less than one-half mile from two high-frequency bus lines and one mile from the Belmar Shopping District. ULC made two additional acquisitions with the facility in 2018: South Platte Crossing in Commerce City and Inca Commons in Denver’s Santa Fe Arts District. 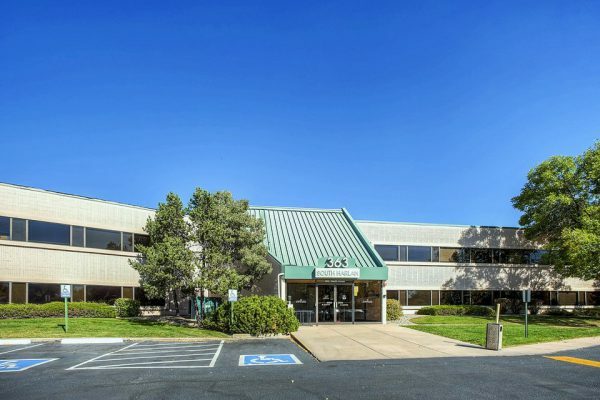 South Platte Crossing is an 80,000 square foot office building that ULC acquired to preserve critical community serving office space to mission minded organizations and nonprofits. Inca Commons will support the future development of affordable for sale condominiums in partnership with Shanahan Development LLC and Elevation Community Land Trust (ECLT).